Home/ARTICLE/5 REASONS WHY QUIZZES ARE AWESOME. 5 REASONS WHY QUIZZES ARE AWESOME. Remember that dumb guy in college? Nobody does… because let’s face it, what better way to make a lady fall for you than by impressing them with your wide range of knowledge. A quiz is the ideal way to flaunt your mental skills – invite your woman to a fun night out in a relaxed environment (usually these events are held in bars/ pubs) and make an impression. For added brownie points win the entire thing and give her the prize (awards are usually pretty cool). For all those ladies out there – fear not, boys are equally blown away by an intelligent girl so a quiz is the ideal alternative to a date with a bit of a difference. Well ok not everyone but come on the majority of us do have some form of a competitive spirit and we all like to win. If you’re anything like me you jump at the chance of being involved in anything that can be defined as a contest. For the less intense – a quiz is awesome because apart from being crowned a winner, it’s also a great opportunity to win free stuff and the prizes usually tend to be pretty sweet. Most quiz nights tend to be organised in aid of some form of charitable cause. For instance our quiz is aiming to help support research in ALS. Apart from being a great night out with friends, quizzes have the added bonus of helping out others. You can have a ton of fun and still support a cause – it’s the ideal situation. Lately organisations have started to realise the importance of their employee dynamics and are forking out quite a bit of money on planning team building events. 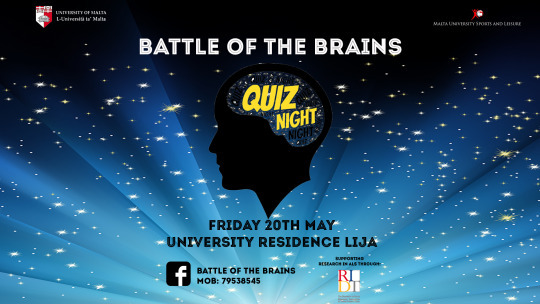 A quiz night is perfect for this and they are a much cheaper option too – a great night out for the office but also a good opportunity to get staff to work together. Can’t justify another night out at the pub? Well now you can! A quiz is a good way to get out with friends but also better your general knowledge. It’s bound to be a good laugh and hey what does it matter if you do have a few drinks too (after all it’s all for a good cause 😉 ).